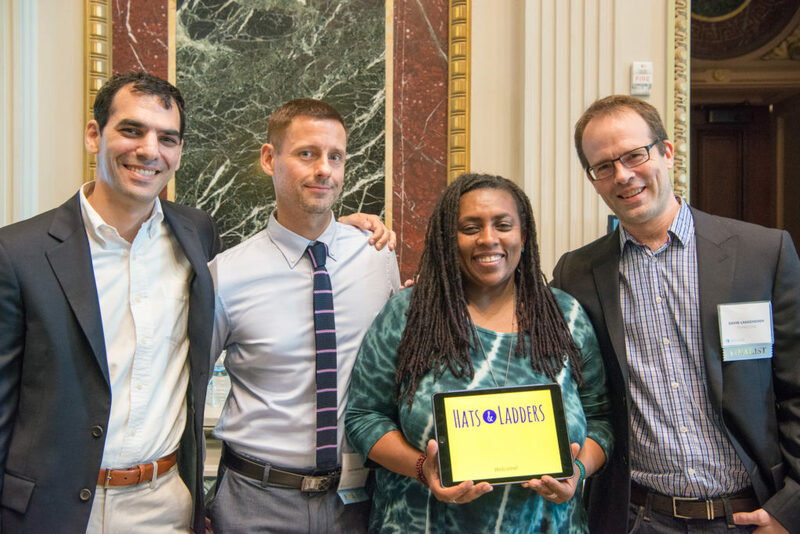 One of our partner organizations, Hats & Ladders, has been awarded a prestigious award from The Office of the White House and The U.S. Department of Education. They were recently awarded grand prize in its Reach Higher Career App Challenge for their Hats & Ladders’ career exploration app. The team behind Hats & Ladders at Demo Day in Washington, D.C.
Triad Interactive Media and our NYC friends Electric Funstuff were both Gold winners at the Serious Play Conference! Triad won for our math education program, PlatinuMath, a game-based professional development program for training K-8 pre-service and in-service teachers in mathematics. 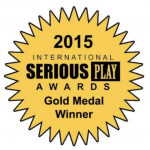 This recognition program honors outstanding serious games that deliver a high quality of engagement and measurable training or learning opportunities. Read more details here. Winners for the 21st Annual Best Educational Software Awards (BESSIEs) were recently announced, and we won for our product, PlatinuMath, which took the award for Best Math Simulation! The ComputED Gazette’s BESSIE Awards go to products that provide parents and teachers with the technology to foster educational excellence. Project NEO Winner of Best Paper Award! Triad Interactive Media is proud to announce that we were given the 2013 CODiE Award for the Best Education Game or Simulation of the year for our program entitled PlatinuMath. 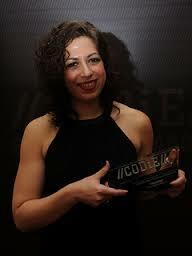 The CODiE awards, which are given by the Software and Information Industry Association (SIIA), are the highest honors in software design and development, with winners being selected on the basis of rigorous peer reviews. TIM is honored to have been recognized along with other educational innovators such as PBS, McGraw-Hill, Pearson, and Florida Virtual School.